The range of the monitor’s transmission is 1000 ft. so you have flexibility and range of motion while still getting a clear picture. The 3.3” color LCD display gives a nice balance of size without being clunky. Both the monitor and the camera are super light and easy to transport. 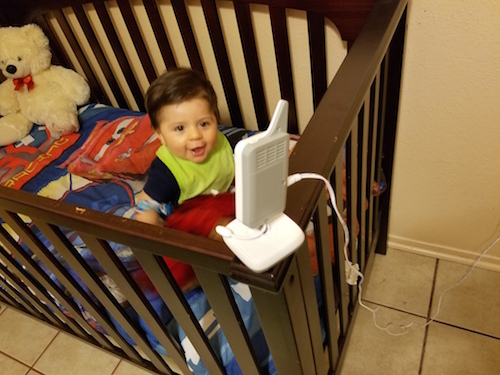 The weight is not an issue if you want to mount the camera instead of attaching it to the crib, one little nail is enough. Each of the rechargeable units has a 12-hour battery life and share the same cord to charge so if you misplace one you are still good to go. Great for travel. They have impressive sound quality for monitor feed and camera lullaby mode. It comes equipped with 8 lullabies you can play to sooth a restless sleeper. You do have to watch since the monitor and camera can emit a lot of feed back when to close together. 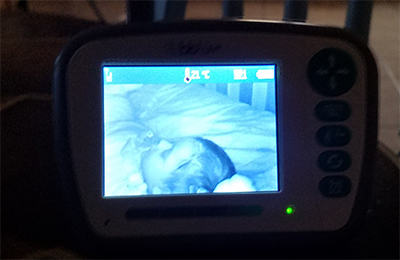 Overall though the Viziö digital video baby monitor is easy to use, has a great picture, a lot of convenient features. 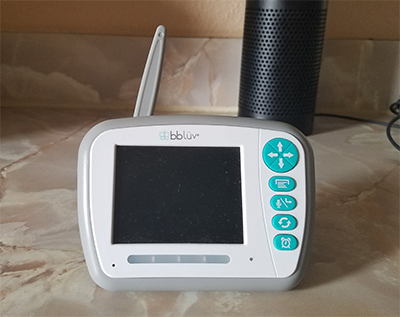 It alerts you to low or high temperatures in the room, there is an out of range alert and a baby feeding alarm you can set.